Before spring break the kids had “Pink Shirt Day” at school. It is an anti-bullying awareness campaign that started in Canada a few years ago. I love the whole concept and decided to send them to school with these pink inspired bento lunches. 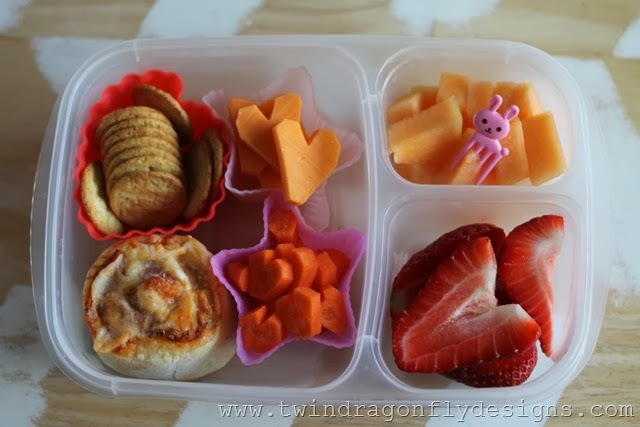 Lunch included: Breton mini crackers, heart shaped cheese, a pizza bun, heart shaped carrots, cantaloupe and heart shaped strawberries. 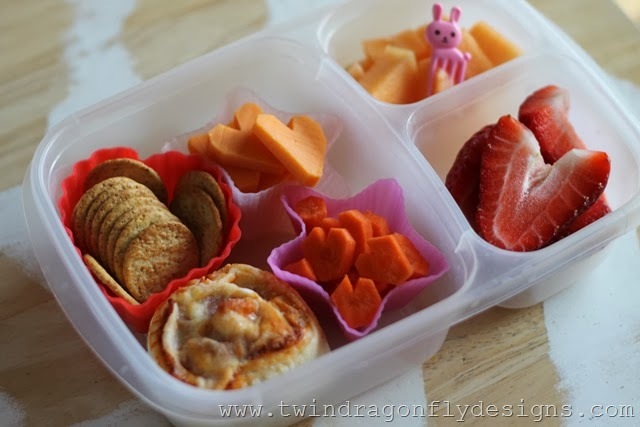 Our awesome containers are from easy lunchboxes, our heart shaped and pink silicone muffin cups are from wholeport and the little pink bunny pick is from bento usa.